New Orleans, where do I start? 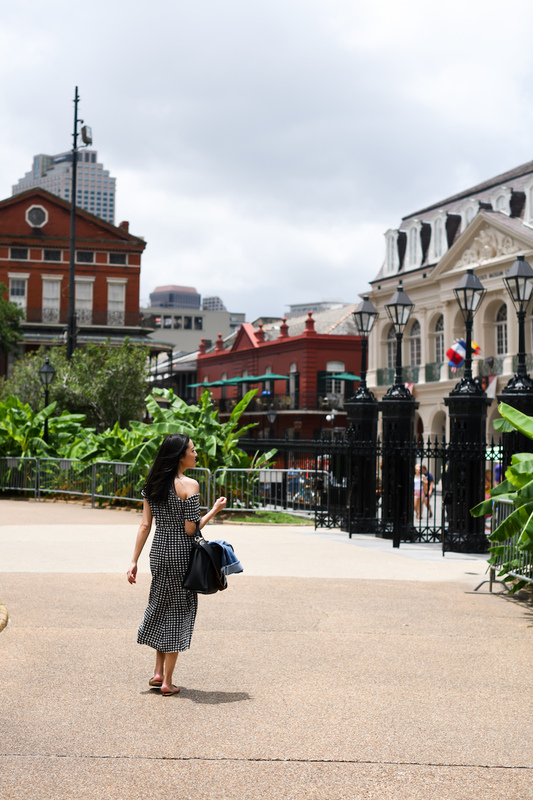 Years at the top of my travel list, I finally had a chance to explore New Orleans and it is now one of my favorite experiences. 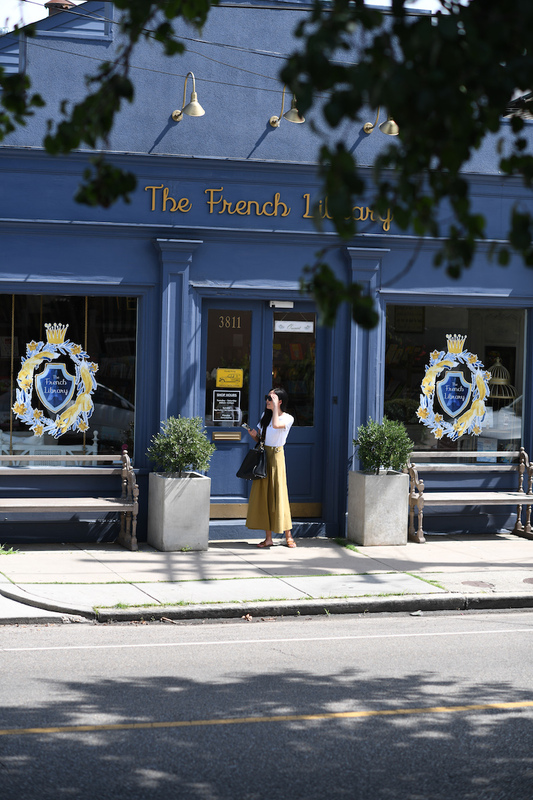 It’s not that surprising to me that I fell in love – I also loved Charleston and Savannah (which I blogged about in my early days here!). The food was incredible (Compere Lapin and Cochon were my favorites), the jazz was amazing (I went to The Spotted Cat), and I got to explore several wonderful neighborhoods beyond the French Quarter (which was also a must-see but is no means the only definitive New Orleans experience). We shot a video of my explorations with local talent Andrew Bui (a new friend!) and I’m so excited to finally share it – I’ll be posting it on Instagram today! Happy Monday and hope you had a wonderful weekend! Always a beautiful and classy outfit looks! I’ve always wanted to go! It looks amazing there! And that yellow-green skirt is gorgeous! In love with this skirt! New Orleans is definitely one of my favorite cities. I would go there just for the food alone! Can’t wait to see the video! <3 🙂 And oh, I've been wanting to go to New Orleans for years now too! 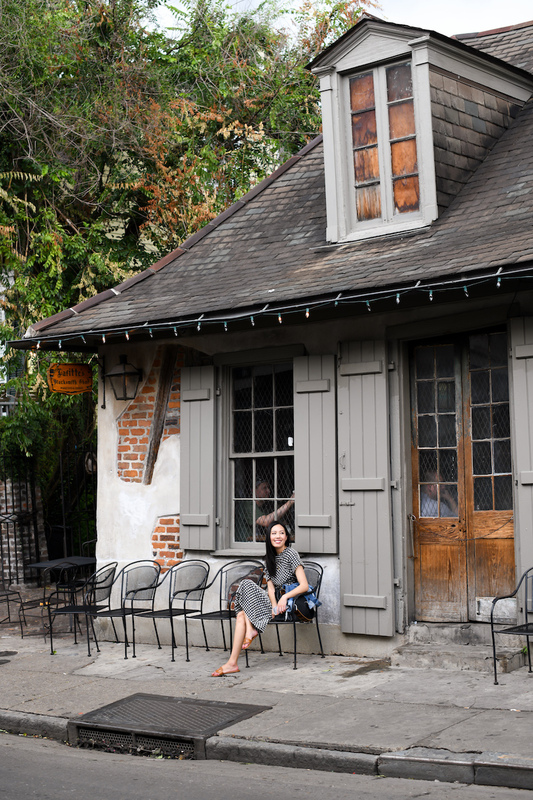 The French Quarter is so beautiful, and I've always wanted to listen to jazz in this beautiful city!